Meditation is easy, anyone can learn how to meditate! It is a great tool for accessing greater self-awareness, peacefulness within and accessing your true self. 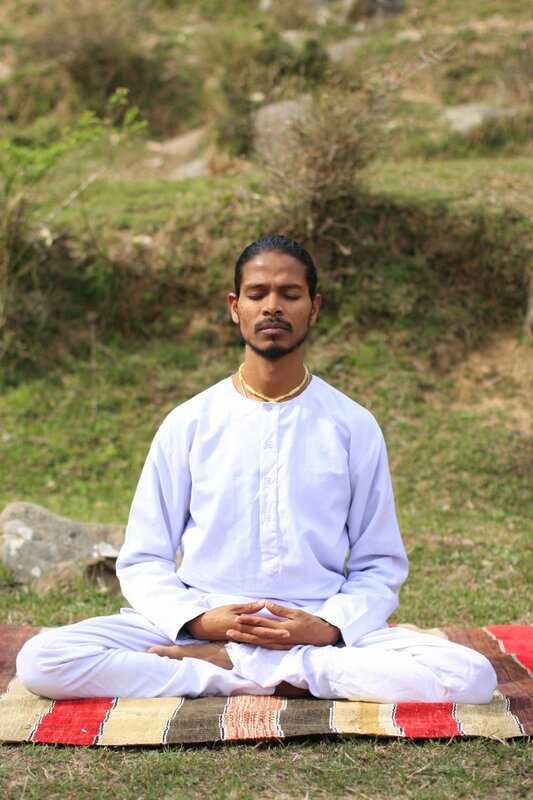 Meditation benefits very aspect of your life and is the perfect source for renewing your body, mind, and spirit. There are many ways to meditate. I am trained as a Zen Meditation teacher and so far, I have also been taught three other meditation practices. Generally though, meditation does not require any special lifestyle or diet, unless you choose this. However I am aware that there are many types of wonderful 'guided' and easy-to-access audio meditations, available to help you to get started. Meditation is a process that teaches you how to be still in the present moment by encouraging you to let go and practice a stillness of your mind. It is a natural and effortless exercise, which you may or may not find easy to access. Nonetheless, it may be helpful for you to consider what has motivated you to learn more about mediation and how you would like to utilise it in your life, since mediation will offer you an opportunity to become a silent witness, with ever-present awareness of everything in your life. Here I want to focus on how meditation can lead you to experience greater spiritual awareness, from which at the same time, you can experience many of the other benefits which meditation has to offer. We all need to start any formal meditation learning the practice from somewhere. There is a long and ancient history about how meditation traditions have evolved around the world. There are numerous ancient and contemporary meditation masters for you to access, either through reading, or attending on-going classes; but knowing which tradition to choose will depend on your reasons and preferences for your choosing meditation as a spiritual practice. Different spiritual traditions (and even within the same tradition), offer different approaches to teaching meditation, which can feel really confusing if you're not clear about what you're looking for and hoping to achieve. For instance, many traditions teach you to focus your attention on a moving object like the breath, walking meditation, the flame of a candle, chanting etc., yet some other traditions will teach that you cannot meditate on a moving object, but yet both approaches have their value for creating better personal and spiritual alignment. Mindfulness as another example which is taught in numerous ways around the world. Over the years it's been my blessing to learn and study several types of meditation practice. The practice of 'mindfulness of breathing' so profoundly changed my life and also set me firmly on the path of spiritual seeker. It has meant unparalleled growth in my life unlike anything before, although I do now recognise that the life journey I have been granted, was undoubtedly always leading me in that direction, but understandably, I just hadn't recognised it as such. There are so many great teachers to choose from. Apart from the obvious and various types of Buddhist or Hindu traditions, there are also Christian, Jewish, Sufi, African mediation forms, whether it's trough chanting, walking, singing, dancing, focused daily activity, prayer etc. the diversity available is thankfully immense. My advice is to choose the spiritual or faith meditation practice and tradition you're 'drawn' to intuitively at first, learn the basics and stick to it until you get comfortable doing it on your own. It's at that point that you can make a decision about whether to join a sangha (community) and 'follow' the teachings of that particular faith or tradition for your personal spiritual practice. An important thing to remember is that it can be helpful to approach meditation as a natural process that should never be forced. You can practice it anywhere, (except when you're driving our operating heavy machinery), briefly or for longer periods of time, but it's a good idea to establish a daily morning and evening practice. As you build up your meditation practice, your experience of mediation will deepen and change, your brain waves will change as your mind becomes less active and chaotic. Ultimately, meditation is a vehicle that enables you to connect with the divine force that guides your life and to reach the attainment of your life-purpose. At it's deepest level and highest attainment, mediation is a path to true realisation or enlightenment. Give up your attachment to the mind. And you dance naked, alone, radiant, and free. And the illusion that Truth can be found in the mind. Surrender is never to an external guru. It is giving up any position. It is living with nowhere to stand. 1. Find a comfortable place and position in which to sit, in a chair, on cushions, on your bed...place your hands in a comfortable position. 4. Start your preferred meditation practice - If your mind wonders away to other thoughts, sensations, or feelings, gently return your attention to the focus of your mediation and any answers you are hearing from within you. 5. Allow yourself to just be open and in the present. Try to surrender (give yourself to) to the process and continue your practice until the end of the time you have allotted for it. 6. At the end of your mediation practice, gentle move your body, you can stretch or wiggle your toes and fingers, then gently open your eyes, smile and stretch some. Meditation practice can be applied to all aspects of your life, including sitting, walking, eating, speaking, listening, emailing, and working! If you would like to become more mindful and appreciative of the food you eat, try this eating meditation. 1 - Select a piece of food (fruit, veggie, raw cracker). 2 - Find a comfortable and quiet space. 3 - Take 3 deep breaths in through your nose and out through your mouth. Sit up straight, but relaxed, try not to slouch. 4 - Pick up your food and really look at it, take in the colour, texture and it's shape. 6 - Now it's time to take a deep breath in and out. On the out breath, release as much tension as you can. 7 - Think about the journey of this raw food. Did you grow or make it? Did you buy it, Where did it come from? Was it grown by a farmer, then picked and packaged for market or another country? How much energy did it take to produce this food? How much sun and water? 8 - Focus on feeling appreciation for the labour and care that went into producing this food so that it could get to you. 9 - Take a few more deep breaths. 10 - Take time to smell the food and to inhale it's fragrance, does it remind you of anything? 11 - Are there any pleasant or unpleasant memories associated with this smell? 12 - Honour those memories in your mind, without any judgement. 13 - Take a few more deep breaths. 15 - Honour ALL that you're feeling and enjoy the nourishment from this piece of food as you hold it in your mouth. 16 - Take a few more deep breaths. 17 - Now chew the food and notice the sound of chewing, the flavour and texture of the food, what do you notice thats different to when you usually eat this food. 18 - Now slowly swallow the food, feel the food slide down your throat, focus on how this feels, do you usually notice these feelings? 19 - Imagine seeing the food inside and it reaching your stomach, how does it feel? 20 - Take a few more deep breaths. 21 - Focus on feeling gratitude for the gift of this food and the energy and nutrition it will provide for you. 22 - Notice any thoughts and feelings about this food and about this meditation. 23 - Take a few more deep breaths. 24 - Smile as you focus on the gift of this food insight. 25 - When you feel ready, release this moment, stretch and move around. Sistahintheraw aka Rev. Anita McKenzie is an ordained Interfaith Minister and certified Interfaith Spiritual Counsellor and meditation teacher. Living Food = Vibrant You - Create healthier habits, try out one of my online wellness programmes, register here. © WANT TO USE THIS ARTICLE IN YOUR E-ZINE OR WEB SITE?